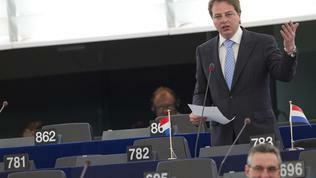 Populist and nationalist rhetoric dominated the debate on the debt crisis in the European Parliament. Individual members of the larger groups tried to bring sanity and a spirit of solidarity in the discussions, not hiding their anger by the nationalism, manifested in the speeches of the majority of their colleagues, mainly from the Netherlands and Portugal. On behalf of the Council Andras Karman (Hungarian Ministry of National Economy) briefed the lawmakers on the current state of the debt crisis, especially regarding to Greece, Ireland and Portugal. He said that negotiations between the Council and the European Parliament over the package of six legislative proposals, aimed to reform economic governance, were progressing well. On Greece he noted that, according to the last report of the EC, the ECB and the IMF, the country had made further progress towards achieving the objectives. Meanwhile, Member States involved in bilateral lending, agreed in March to reduce the interest rate by 1 percentage point and to extend credit maturity, he recalled. With regard to Ireland, Mr Karman noted that the package approved by the EU and the previous government for the loan of 85 billion euros had been reviewed by the new government. On May 17, ECOFIN will analyse the first quarter of the funding period and it is expected to concluded that Ireland meets the stated requirements. As to Portugal, he said only that there was an agreement between the Troika (the European Commission, the ECB and the IMF) and the Portuguese government, which must be formally approved at the ECOFIN meeting on 17 May. During the debates in the EP it became clear that the Finnish political parties have agreed to support the loan, which opened the way for the agreement to be finalised. 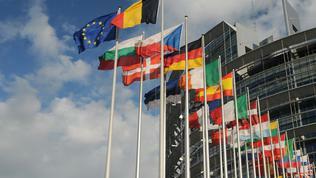 As you know, Portugal will receive 78 billion euros for 3 years from the EU and the IMF. The interest rate is expected to become clear next week. 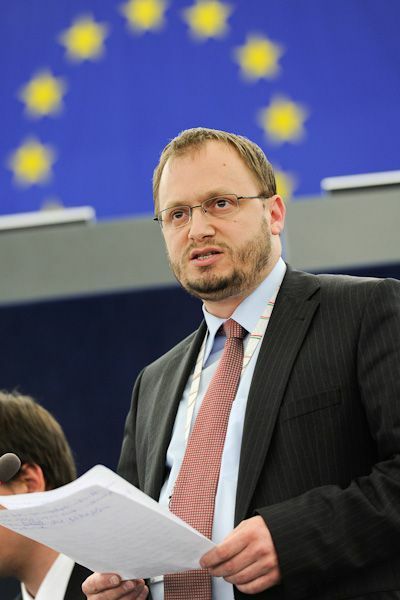 MEPs attacked the representatives of the Council and the Commission for conducting a secret meeting on May 6 devoted to Greece. 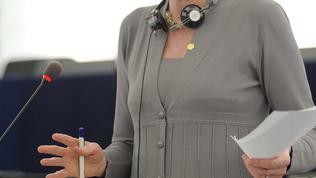 Especially the Dutch deputies were furious because the Netherlands was not invited to the meeting. 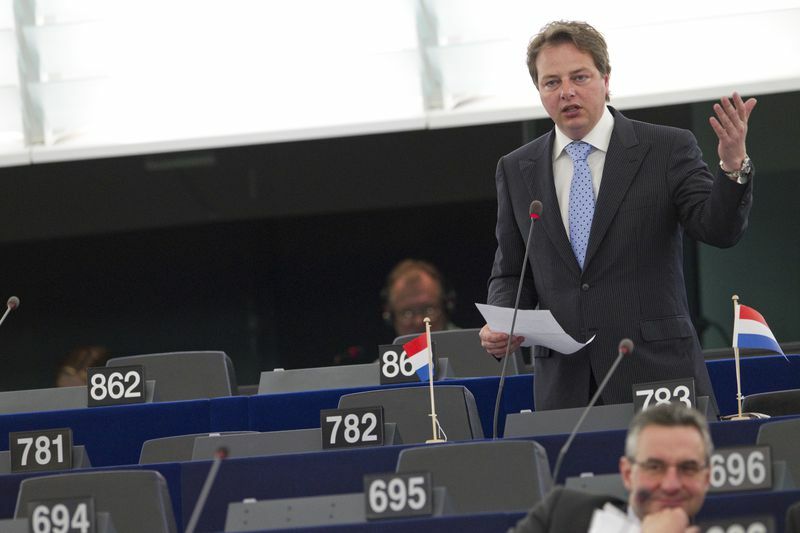 The Netherlands is one of the largest net contributors to the European budget and one of the largest contributors to the rescue package for Greece - it's scandalous that the Dutch finance minister was not invited, Barry Madlener (non-attached MEP, the Netherlands) said. He, like other colleagues of his, predicted that Greece would either restructure its debt or would go bankrupt. In the same spirit spoke the French non-attached MEP Marin Le Pen: “Greece is about to enter the third world and to deprive us of any hope that it will pay its debts”. According to her, the country is bankrupt and the alternatives are either to restructure its debt or leave the eurozone. 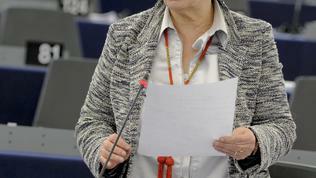 To the attacks from “North", Portuguese MEPs replied on behalf of the "South". 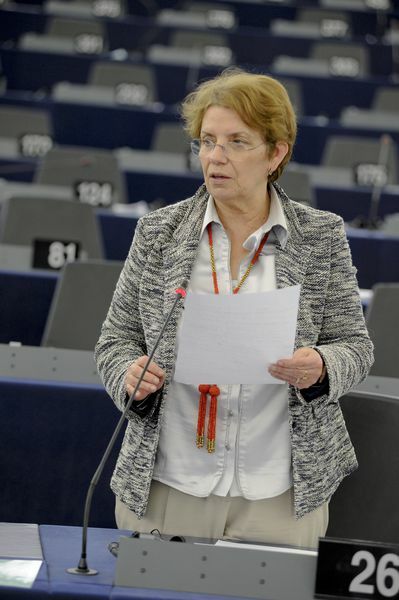 Ilda Figueiredo (Confederal Group of the European United Left, Portugal) expressed her outrage at the Troika, which introduced an aggressive pact on Portugal and “literally enslaved it”. According to her, Germany and France could cope with such requirements, but not countries with fragile economies and so “Portugal became a colony of economically powerful countries in the EU”. 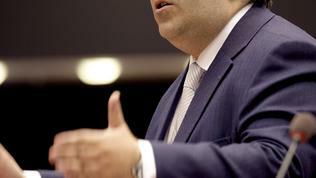 In response to this statement Dutchman Barry Madlener called on Portugal to leave the euro area and solve its problems. You cannot throw us out of the euro area, countered Ms Figueiredo, you must develop a new policy. 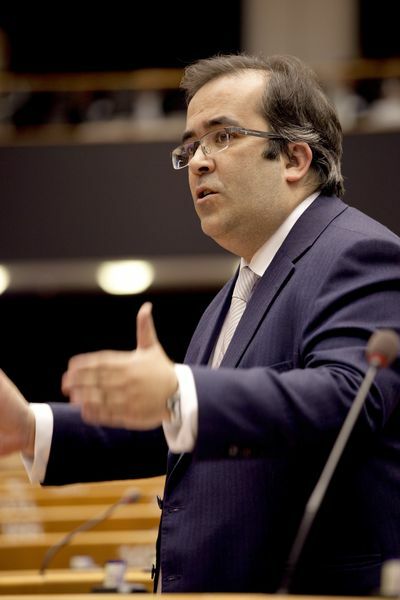 A touch of sanity was brought in the debate by another Portuguese, Diogo Feio (European People's Party, EPP), who said that Portugal was able to keep its accounts in order, to carry out necessary reforms, to introduce a liberal economy with more competition and increase competitiveness, but to that end it must remain in the eurozone. From the statements of the Portuguese MEPs it was clear that there was a discontent over the high interest rates which the country would have to pay on the loan from the EU. 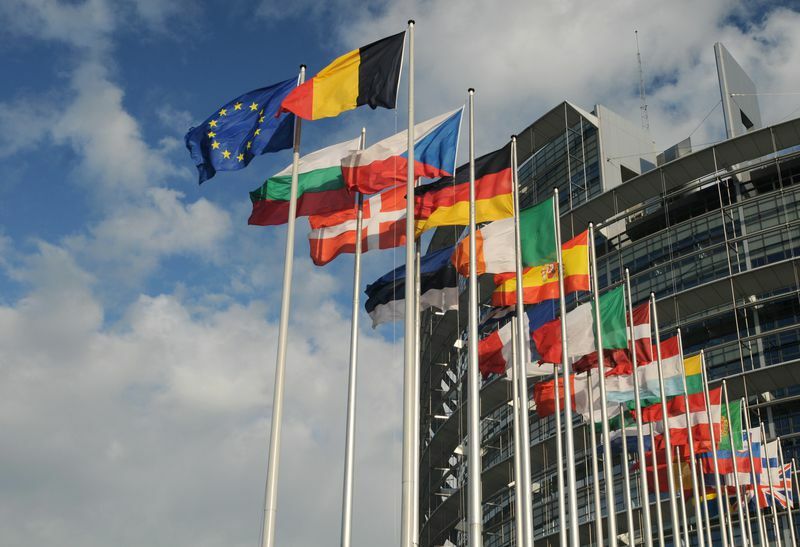 According to Edite Estrela (Group of Socialists and Democrats, Portugal) for the three years the country will pay the EU an interest rate worth 3 billion euros. 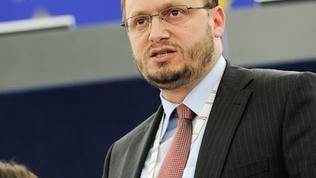 MEP Paulo Rangel (EPP, Portugal) also defined the interest rate as too high and urged a community approach to be applied like the creation of Eurobonds. These statements provoked the wrath of Sven Giegold (Greens/EFA Group, Sweden), who said he was troubled “by this nationalism and myopia”. He asked if Portugal would require its interest to be reduced in the future. In response Paulo Rangel said that not only the interest rate of Portugal should be reduced, but also these of Greece and Ireland, because otherwise it would be difficult to meet the objectives. 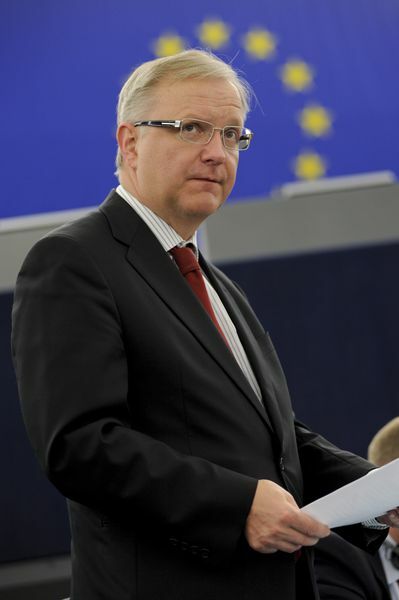 EU Economic and Monetary Affairs Commissioner Olli Rehn did not comment on the MEPs statements for a possible reduction of the rates on the loans of the three countries. As you know, the Greek interest rate has been reduced by 1 percent, the same is expected to happen with the Irish interest rate and the Portuguese one will be determined next week. The Commissioner responded to the calls for restructuring of the Greek debt, recalling that a team of the Troika was in Athens, to review the implementation of the economic programme and to make a sustainability analysis of the Greek debt, which would allow more grounded decisions to be taken. 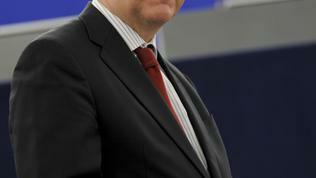 Although this expression may be interpreted as a hint for a possible restructuring (if the analysis would show that the debt is unsustainable) Olli Rehn spent a lot of time to explain the “devastating consequences” that a possible restructuring would have both in Greece and in Europe as whole. Greek banks have 48 billion euros in government bonds, said Mr Rehn, asking what would happen if government bonds were restructured? Even a 30% haircut would mean that a large part of the banking system would be undercapitalised, while a 50% haircut would imply large part of Greek banking system would simply become insolvent, the Commissioner said, adding that this would reflect badly on all other banks that hold Greek securities. “Such major banking crisis will lead to a massive credit crunch” and hence – to an “unprecedented contraction” of the Greek economy. Moreover, even a haircut of 50% will not reduce the Greek debt below 100 percent of GDP, as is the goal. Debt restructuring will cut the access of Greece to the financial markets for a very long time and the goal of the European plan is exactly the opposite - Greece to return to the markets, Olli Rehn explained. So the only solution, according to the Commissioner, is the country to achieve a primary structural surplus. “Greece is still living beyond its means and the key is that Greece has to start earning more than it consumes,” Olli Rehn concluded. 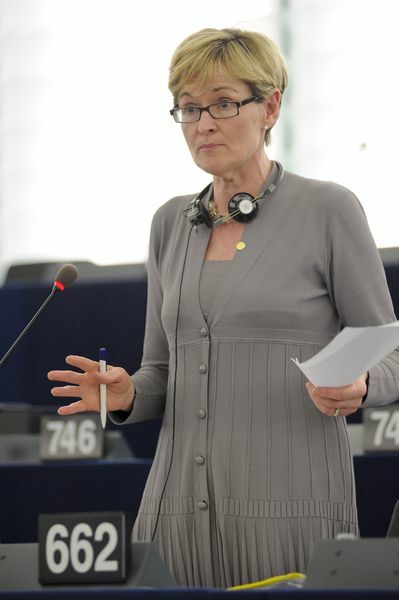 euinside noted with interest that the MEPs didn't ask the Commissioner about the additional financial assistance to Greece, which could be needed and probably was discussed at the meeting on May 6. We noticed too that the large groups rather refrained from taking part in the debates at the expense of the far-left and non-attached MPs, who set a strong populist tone and deprived the discussion from depth and seriousness. We noticed also that the Bulgarian MEPs also didn't take part in the debates, although unfavourable developments in Greece would have a direct impact on Bulgaria. The debates once again highlighted the need for the traditional parties to work harder and, if you like – to use more imagination to respond to the pressures of populism. Greece and Portugal are the proof that such simplistic games with public opinion have an impact on the financial markets, and ultimately put these countries on their knees. And the question why don't you leave the euro area, should be placed with all the populists who benefit from the issue of the debt crisis to earn cheap national popularity. Maybe their voters like the idea that it is not right their money to go to the Greeks, Portuguese or Irish. But if they were asked whether they prefer instead of paying - to give up the euro or EU membership, the answer is unlikely to be positive.